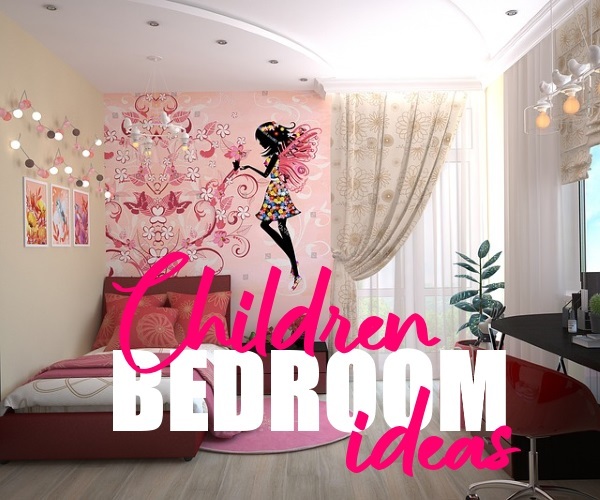 Decorating a child’s bedroom or playroom can be a fun but stressful experience. With the endless number of themes that children will love, choosing the perfect design can be a little complicated. We have created a list of popular themes, perfect for decorating your child’s space. We’ve also discussed how you can best achieve these designs in your space. Whatever theme you decide on, think outside the box to create a completely one of a kind space that’s unique to your child. Children love animals. From family pets like cats and dogs to wild giants like lions and elephants, they’re captivating to children. This makes them an interesting theme perfect for a kid’s room. If there’s a particular animal your child loves, it’s an easy option for your theme. If they’re more of an all-around animal fanatic, you could choose to create a scene such as a safari or a zoo. If you’re planning a group scene, choose one focal point in the room for the decor. For the rest of the room, a neutral color palette is recommended. Wall art such as stickers and paint are great options for your animal theme. Space is a huge and exciting place filled with dreams of infinite possibilities. Discovering alien life and seeing the beauty of the universe instantly spring to mind. That’s why a space theme may be ideal for your child’s bedroom. For your space theme, a light grey base colour can be used. You can then create a feature wall using a planet, space ship, solar system or a mix of them all. An easy yet effective option for creating a space room is to use glow in the dark stars on the ceiling. Your child can look up at the ceiling as they drift off the sleep, dreaming of adventures about space exploration. You could also add a feature telescope in the window. This both looks great and lets your child go stargazing whenever they want. Fairy tales and stories have always been popular with children. Adventures of princes and princesses fighting dragons and encountering magical fairies as well as incredible mythical creatures. A fairy tale is an excellent theme for a child’s bedroom, thanks to this. For a fairy tale theme, you could choose a story your child love like Cinderella or Beauty and the Beast. Alternately, you could add a more generic castle and dragon scene or enchanted fairy forest. Another popular idea from the world of fairy tales is to add a unicorn. This inspiring and beautiful legendary animal is extremely popular with young children and sure to be a hit in their bedroom. Use wall art in the form of murals, prints and paint for the look with bedding and accessories to match. A creative room is perfect to inspire a child’s creativity. It’s based around showing off their artistic and imaginative nature and giving them the space to express themselves. Use their art and creations as decoration in the room. Show off drawings and paintings in frames on the wall or on a large corkboard. Alternately, you could use special paint to create a blackboard wall. This gives your child a blank canvas to draw, write and have fun with. If your child’s young, set boundaries of where they can and cannot draw and don’t leave them with chalk if unsupervised. It’s also worth adding a space where they can create. A desk is a good option for older children and a space on the floor for younger kids. Have something to protect the flooring and furniture in this area such as a removable plastic sheet. This will help avoid any mess. The majority of children are absolutely fascinated by the lost world of dinosaurs. The huge carnivorous T-Rex and gentle giants, Stegosaurus, are exciting animals from the past. For a dinosaur themed room, choose the focal point for the room. You can then use art to create a scene filled with dinosaurs with a luscious green forest as a background. Dinosaur accessories should also be used such as figurines on draw tops, bedding, prints etc. For an easy yet effective theme, sports can prove to be an eye-catching option that your child is sure to love. Whether they’re a future footballer, netball star or a super-fast sprinter, there are plenty of options you can choose. If the sport is played in a field, you can use a light green for the background colour of the room. Then, create a feature wall with players in action, sports equipment or their favourite team’s logo and kit. This can be replicated for the majority of sports, just think outside the box and get creative. With the development of streaming services like Netflix and Amazon along with sites like YouTube, the number of children’s TV shows and films is constantly on the increase. If there’s a particular TV show, film or character that your child is crazy about, turn this into their bedroom theme. From entertainment like Dora the Explorer to superheroes like Spiderman to Pokémon, the options are endless. To create the room, choose the colour palette from the show or film for the room’s background colour. If it’s a bright colour, you may want to create a feature wall. Then, add in bedding, wall prints and other general accessories featuring the characters. If your child dreams of sailing the seven seas on the search for buried treasure, a pirate theme may be the perfect choice for their space. To create this look, a light blue background colour will work well to create a sea. You should then add in a pirate ship filled with ruthless sea-dwellers or a treasure map. You could use wall stickers, murals or paint stencils for the effect. Add in accessories such as pirate bedding and treasure chests for storage. Whichever theme you do decide on for your child’s space, try not to make it too permanent. Children grow up fast and their interests can quickly change so avoid adding designs that can’t be removed, altered or replaced. A basic background colour with accessories and wall art like murals, stickers and prints are great options. If you are using paint, especially bright colours, focus on a single wall. There are infinite possibilities available for theme ideas for your child’s room. Choose something that they love and keep an open dialogue with your child throughout the decorating process, especially if they’re nearing those dreaded teen years. This should help you keep them happy with their space and ensure they love the end result.